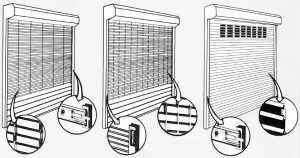 System Description – Self-Opening Security Grille with Emergency Egress model CGSGMM10 is side coiling. 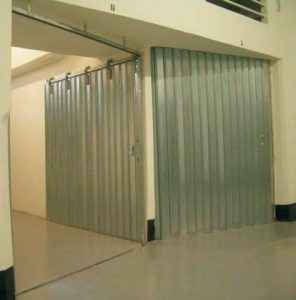 This unit is intended for use where both security and egress are issues. In the event of an emergency, power failure, activation of a facility´s fire alarm system or smoke detection system, the security grille moves to the fully open position. This is accomplished without the use of electricity or battery back up systems. In the emergency mode this unit provides for the clear egress path wich is required. In the non-emergency mode, this unit provides for the required security. 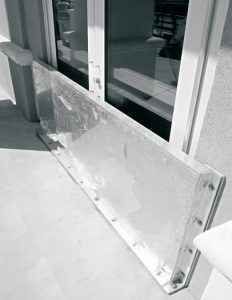 For higher occupancy loads the use of integral swinging egress door is recommended. 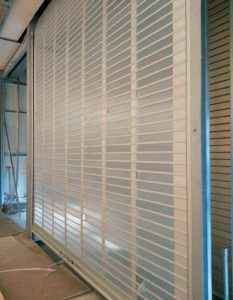 System Advantages – Self-Opening Grille provides designers the flexibility of securing large openings while still providing emergency egress. 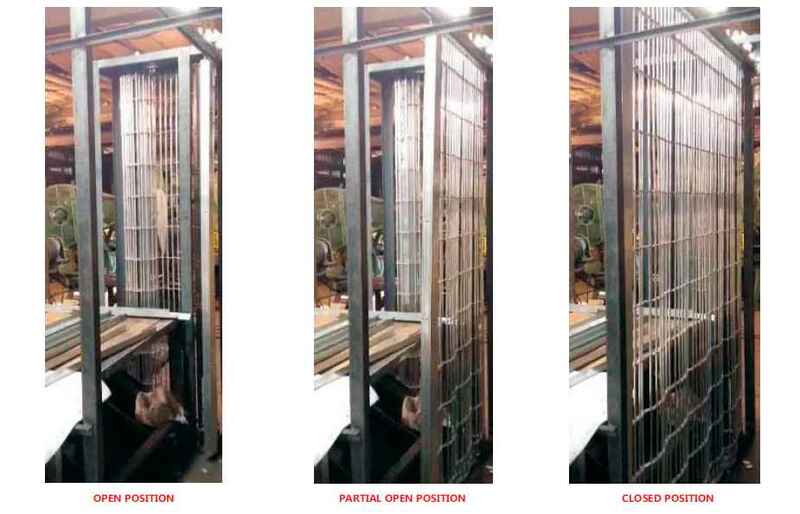 Design Alternatives – The Self-Opening Grille eliminates the illegal use of security gates. It also eliminates the need for unsightly swinging door frames. Applications – This unit provides a safe, efficient and economical means to solve the emergency egress versus security problem. It is ideal for schools, hospitals, office buildings and airport applications.